Some niches will always have a small band of loyal followers – geek stuff, popular TV shows, etc. However, there are some niches that are growing by leaps and bounds each day. Making money online, dating, and weight loss are just a few of the most popular niches. If you are looking to break into the world of blogging, we encourage you to grab weight loss by the horns and hang on tight. With the number of obese American adults pushing 80 million and more than 30% of the total population being overweight, weight loss blogging has huge money-making potential. Because the weight loss industry has such a high earning potential, everyone seems to be jumping on board. That means you’ll have quite a bit of competition – from both honest bloggers and spammers alike. In order to be successful, you’ll need to stand out from the crowd. One of the easiest and most effective ways to do that is to build trust. And to build trust, you’ll need to be a real human being. Readers won’t stick around if you are hiding behind a veil of mystery. Use your real name (or a believable pen name – nothing spammy like Always Overweight). Have an “about” page that highlights your own personal experience, expectations, and qualifications. Post a photograph of yourself – something that helps build credibility but isn’t too professional looking. 2. Don’t make promises you can’t keep. It is easy to get caught up in the world of marketing. Those professionals make their products sound so great! 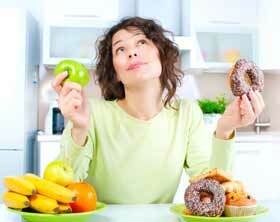 But before you put your stamp of approval on a product or diet plan, make sure you know exactly what you are doing. Have you actually tried that product? Do you know it works? Do you have personal, first-hand experience to back up that endorsement? Be careful of promising things to your readers. Broken promises can really hurt your reputation. Put a lot of thought into your domain name. After all, first impressions are very important. And your domain name is one of the first things a visitor will see. Right off the bat, you have one very important decision to make. Should you choose a free or paid domain? You can pay for a custom domain through hosting sites like GoDaddy.com. For about $80 a year, you can maintain your domain name of choice and host the site. If you choose the free route, you can simply grab yourself a wordpress.com site. You won’t have to pay anything at all – and your site will be up and running in a matter of minutes. While both options are acceptable, you have to weigh the pros and cons. A paid site usually appears more credible, authoritative, and professional. After you choose your hosting company, you’ll need to select an actual name. Again, stay away from anything spammy – Lose10PoundsBeforeMorning is bad, MyWeightLossJourney is better. 4. Don’t go overboard with the ads. Usually, ads are a good – and necessary – thing. We are all for squeezing every last penny out of blogging. Just make sure you don’t overdo it. Affiliate marketing is fine – in moderation. Again, only endorse products you have tried and found successful. Readers won’t appreciate you peddling every weight loss super pill that hits the market. We all know life has ups and downs, good days and bad. Weight loss is no exception. Anyone who has tried to shed unwanted pounds knows the process isn’t simple. Therefore, it isn’t realistic to only showcase the good days, the good products or the good techniques. Give your readers everything. They’ll eat it up. They’ll appreciate your honesty and feel bolstered by the fact they aren’t the only ones suffering. This principle applies to reviews too. If you do reviews on your site (again, a great way to earn some extra money), be honest. There has to be something you found unappealing about the product. Don’t be afraid to point that out. Go in depth with your analysis. Don’t just regurgitate the information found on the product’s packaging or website. And when possible, share pictures of yourself using the product. 6. Don’t be a one-hit-wonder. Sure. Standard, run-of-the-mill blog posts are fine. As long as you are providing insightful information and/or how-to tutorials, your readers will always have some quality reading material. Post routine progress updates. If you are in the midst of your own weight loss journey, share your highs and lows with the readers. Feature a Meal of the Week. Highlight a different healthy recipe every few days. Encourage your readers to try it and share their impression in the comment section. Set a Goal of the Week. Maybe you want to exercise 20 minutes each day. Maybe you want to ride your bike to work at least twice during the workweek. Whatever your goal is, publicize it. Not only will you encourage your readers to live healthier, you’ll also make them active participants in your blog. And active participants are more valuable readers. Conduct interviews of other industry leaders. Not only will you be boosting your credibility amongst other industry professionals, you’ll give your readers more great suggestions without sending them to someone else’s site. Blogging – and niche blogging specifically – has great money-making potential. 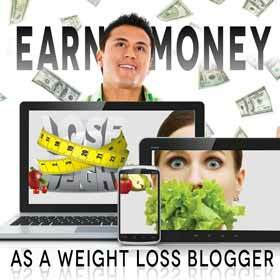 If you are looking to join the blogosphere, writing about weight loss might be the way to go.